Your home’s electrical wiring is vitally important to your home comfort. It’s the conduit that carries power to your lights, appliances, air conditioning and more, and if it isn’t working properly your family could be at risk of painful electrical shocks and potentially deadly electrical fires. That’s why it’s important to be sure your home is National Electrical Code (NEC) compliant. The problem is, you can’t see your electrical wiring to know if something is wrong with it. 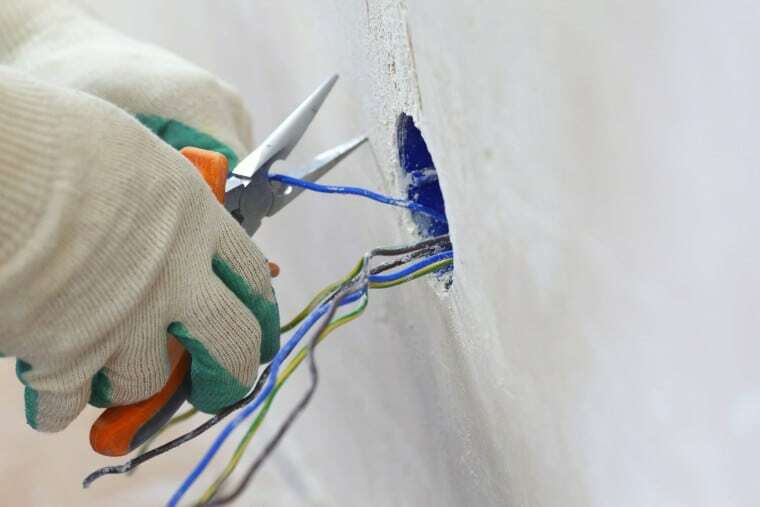 It’s within your walls and ceilings, and the only way to access your wiring without tearing out sheetrock is by using specialized electrician’s equipment. That’s why Hyde’s has compiled a list of three easily identifiable signs that your home’s electrical wiring is no longer code compliant. Your home was built in the 1960s or 70s. During the 60s and 70s there was a copper shortage and homebuilders used aluminum wiring because it carries electrical current as well as copper. However, aluminum wiring is no longer considered code compliant because, unlike copper, it is susceptible to weather-based expansion and contraction that can cause loose connections and fire hazards. If you have a home that was built during this period, you may want to invest in a wiring upgrade. There are no GFCI outlets in your home. GFCI, or Ground Fault Circuit Interrupter, outlets are a safety measure used in areas that have high moisture content in order to prevent electrical shocks. They have TEST and RESET buttons in their center and NEC code requires that they be present in bathrooms, laundry rooms, outdoors and any other place near a water source. If you can’t find any GFCI outlets in your home, you need to call an electrician to bring you up to code ASAP. Your circuit breakers trip a lot. Electrical safety codes require that your home’s wiring is sufficient to meet your electrical demand. If you regularly find yourself resetting tripped circuit breakers, it’s a sign that your family’s electrical demand is too great for your electrical wiring and your home is not code compliant. Have an electrician upgrade your electrical panel to increase your home’s electrical capacity and bring you up to code. 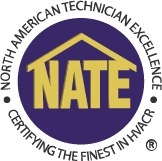 NEC codes are updated every three years to ensure that electrical work is done to the highest safety standards, so it’s a good idea to have an electrical inspection done on your home every three to five years so you can be sure it’s up to date and code compliant. If you have any questions about how your electrical wiring impacts your home comfort, call Hyde’s at (760) 360-2202!